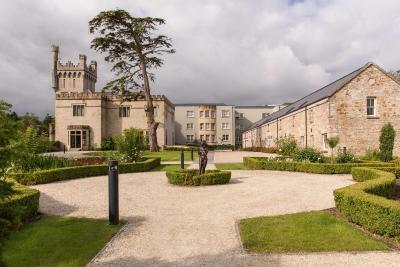 Lock in a great price for Lough Eske Castle – rated 9.2 by recent guests! Staying in a castle it just doesn't get any better if you get a chance you need to stay here its worth it. I only wish we could have stayed longer! Fantastic location just outside of Donegal Town, an incredible old castle that has been impeccably restored, beautiful walks around Lough Eske - they provide a map with routes and timing, indoor pool and well equipped gym, I didn’t use the spa but it looked very nice, very spacious and comfortable rooms, bathrooms with heated floors! Our luxurious room was huge!! 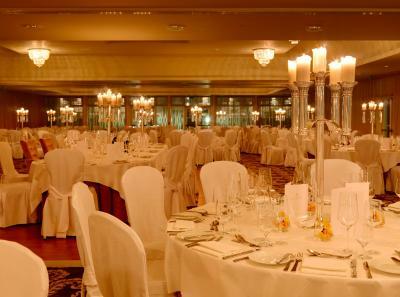 Everything was perfect at Lough Eske castle. Perfect stay. The grounds were beautiful. It was everything that I was looking for on my Ireland travels. The service was second to none. Nothing was too much trouble and the castle was incredible. I highly recommend it. The rooms our son and my husband and I had were lovely. The dinner was excellent. We only wish we had stayed an extra night so we had time to explore the property and trails. Stunning and the food served at the restaurant was absolutely perfect. Beautiful place!!!! Lovely room, tub, views, and breakfast. Will be returning with the kids! Yuka at reception was very sweet!! She arranged a sweet surprise for our anniversary. Much appreciated! 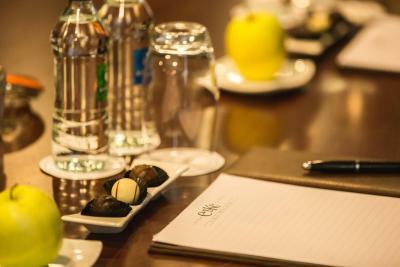 Great breakfast, great staff, spacious room. Top notch hotel. 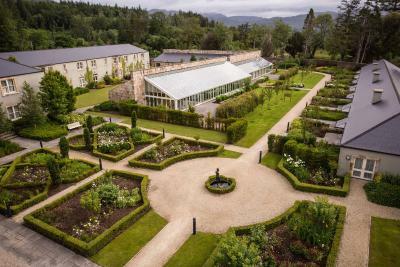 Lough Eske Castle This rating is a reflection of how the property compares to the industry standard when it comes to price, facilities and services available. It's based on a self-evaluation by the property. Use this rating to help choose your stay! Set on 43 acres of forest at the foot of the mountains, this stunning castle boasts huge rooms with 32-inch flat-screen TVs. 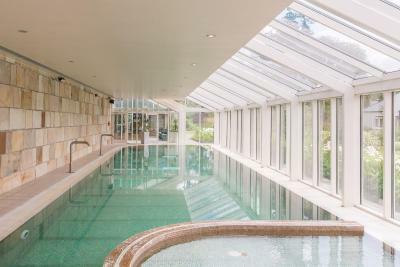 The 5-star hotel offers a luxurious spa within its beautiful grounds. Cozy bathrobes and slippers are provided in each luxury room, along with a wood-paneled marble bathroom. 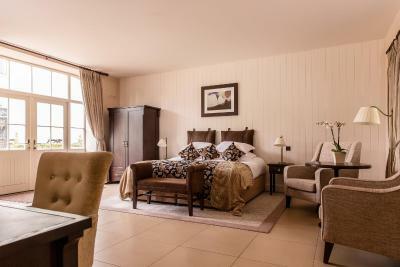 Rooms include oak furniture and idyllic garden views. 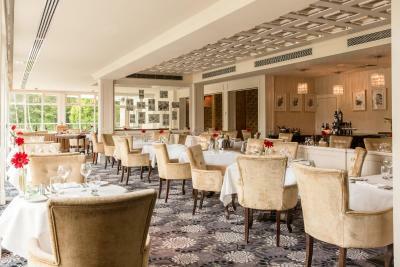 Cedars Grill has a terrace and features traditional dishes including seafood from the nearby port of Killybegs. 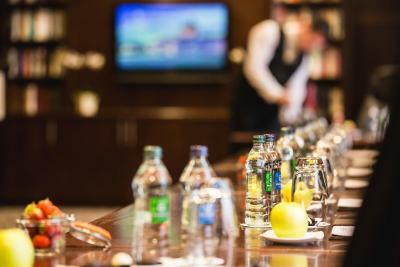 The Oak Bar has a pool table and Irish music events while the Gallery Bar serves light meals. 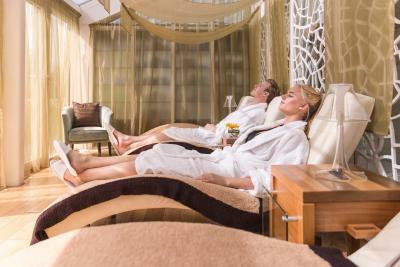 The Solis Spa has a steam room, sauna and massage suites. 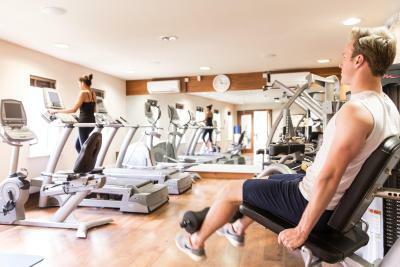 There is a fitness center and the swimming pool is located in a glass atrium, offering views of the grounds. 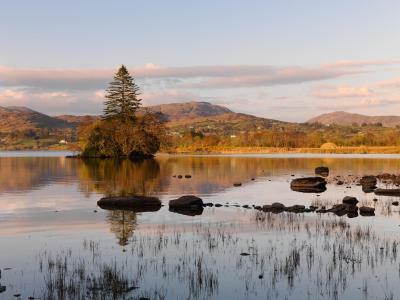 Guests can fish on Lough Eske, less than a 5 minute walk from the hotel, while Donegal is less than a 10-minute drive. Donegal Golf Club is a 15-minute drive, while Donegal Adventure Center and Surf School is a 30-minute drive away. 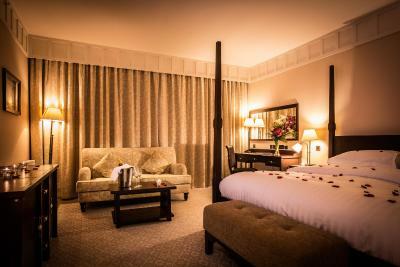 When would you like to stay at Lough Eske Castle? 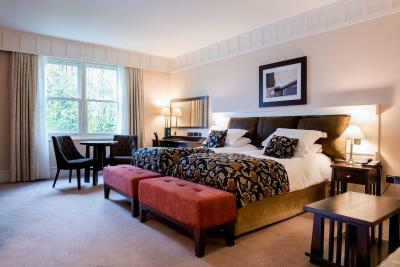 Spacious Deluxe Room with custom oak furniture and deep carpets. 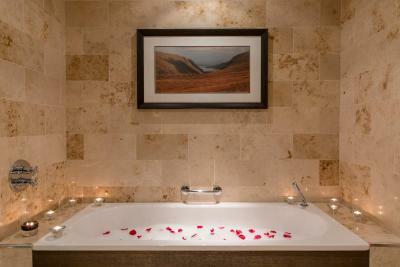 Decorated in warm tones, it includes a 32-inch flat-screen TV, and a marble bathroom with luxury bathrobes and slippers. Also features cedar wardrobes, an electronic safe and a drinks tray. 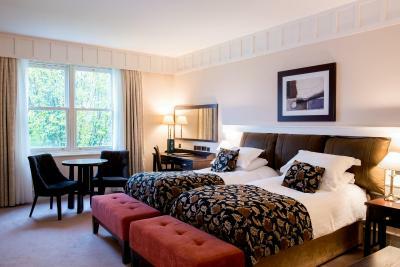 Spacious, open plan suites with a solid oak king bed and luxurious carpets. Features custom oak furniture, a sofa, coffee table and easy chairs with a breakfast table. 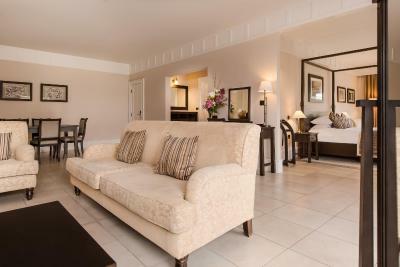 Features soft, neutral decor and ambient lighting, two 32-inch flat-screen TVs, a minibar, Wi-Fi, and an electronic safe. Bathrooms have marble tiling and luxury bathrobes and slippers. 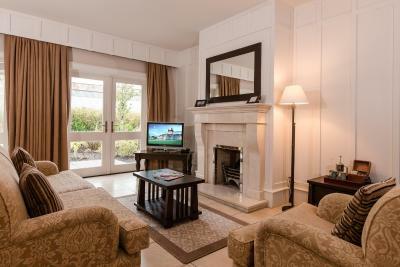 Very spacious open-plan suite with stone-tile floors, thick rugs, and a Spanish basket gas fire. 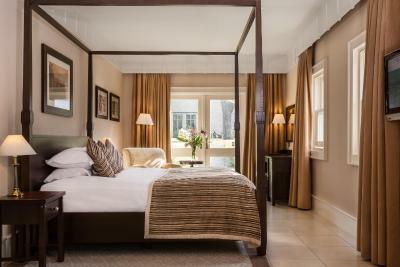 With neutral, earthy decor it features a four-poster bed, custom oak furniture and a marble bathroom with luxury bathrobes and slippers. 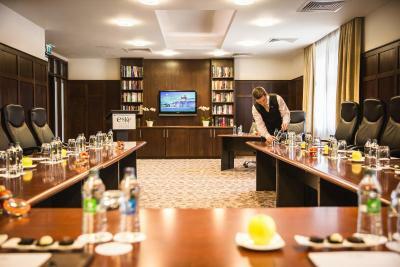 Also offers a 32-inch flat-screen TV, a minibar and walk-in cedar wardrobes. Please be aware you have to walk outside the main hotel to get to these rooms. 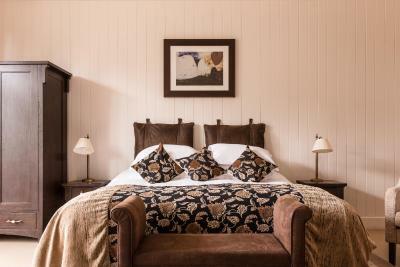 Spacious rooms created from the former castle stables with sandstone floors, deep-pile rugs, oak furniture and walls with cream wood. 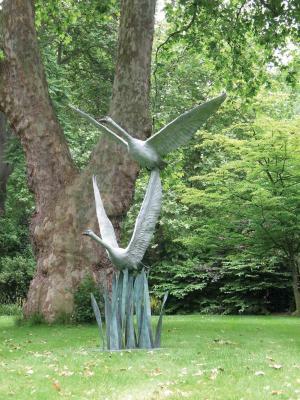 The rooms overlook the flying swans bronze water feature and include a 32-inch flat-screen TV and luxury bathrobes and slippers. 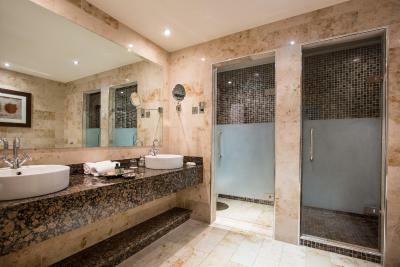 Also includes a wood-panel bathroom with marble tiling. 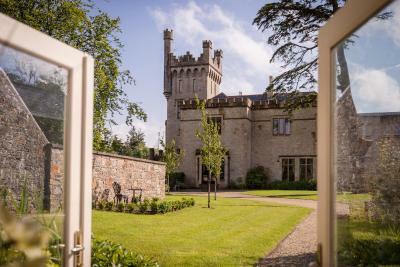 House Rules Lough Eske Castle takes special requests – add in the next step! 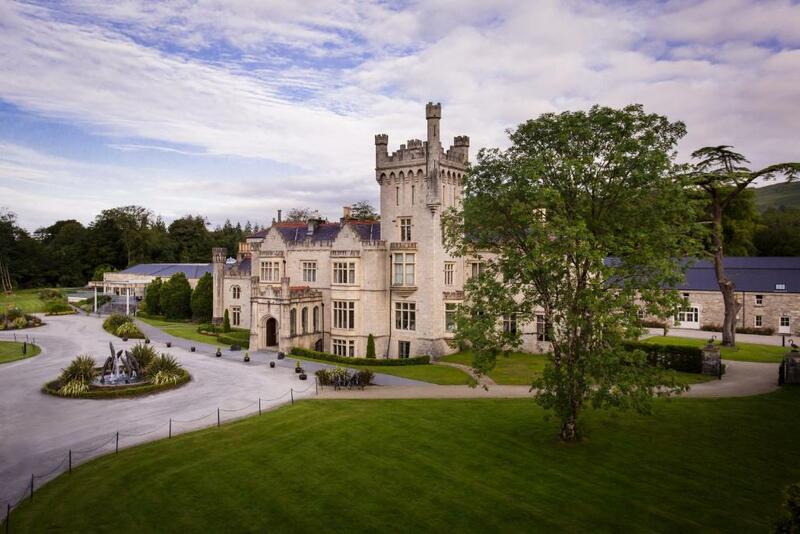 Lough Eske Castle accepts these cards and reserves the right to temporarily hold an amount prior to arrival. Amazing location and fantastic building. The SPA was great too. The dinner was not a five star experience. We ate in the bar and were told we didn't need to book a table. We sat at a table for four and were asked politely to move because a party of four might come along. We were moved to chairs that were more suitable for having drinks in then dinner and three separate parties of two were sat at the original table we were moved from during the time we were there. We were told dinner would be 25 mins as they were experiencing a delay in the kitchen. It was 50 mins and when the food came out it was cold. I told the waiter and he was apologetic and offered to bring it back to the kitchen but I didn't want to waste food or wait any longer for food! The waiter told the chef and was told "these things happen" !and gave us a complimentary drink. These things should not happen in a five star. The food did taste lovely but it was not the five star experience we were looking forward to. The facilities were amazing. The room was beautiful. Very comfortable and had everything we could need. The pool and gym were amazing and the spa and the girls who work there were wonderful. The breakfast was fantastic. Great options and really fresh! Bed was hugh and so comfortable.food was excellent. Room was spacious and bathroom was amazing. Breakfast choice was good as was the food. Service could be improved but some staff very good. Lovely courtyard room and extremely comfortable bed. 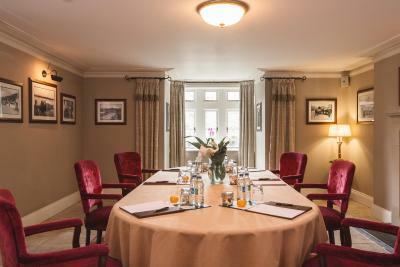 Fantastic food, very comfortable room and bed, staff extremely friendly. What a beautiful hotel. We stayed for a friends wedding, which was also in the hotel and an extremely well organized and hosted day. The food and wine were gorgeous. We stayed in a courtyard room which was out of this world. The most comfy bed, heated floors, huge bathroom, bathrobes, all in a really nicely decorated and big room. The grounds of the hotel were great to explore and the big fireplaces dotted around the hotel really cosied the place up(it snowed when we stayed). The staff were all amazing, particularly the bar staff who, even under pressure with a lot of guests, took the time to nicely greet everyone and gave us some delicious gin recommendations. 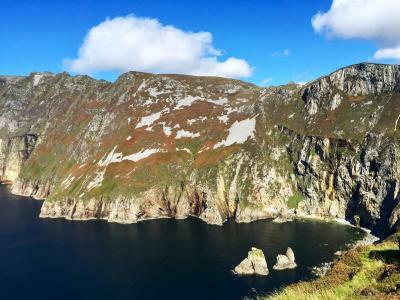 A must stay in Donegal. It’s a beautiful hotel located in a beautiful location! The rooms were lovely and spacious and the bed was super comfy! We had dinner in the restaurant and the food was delicious too. I would definitely love to come back again soon! Our time here was pretty much perfect - only one small gripe as follows: The bar staff decided to wipe down all the glass shelves in the bar on a Friday night when there were guests trying to enjoy their drinks and meals. Apart from the clanking of bottles for over an hour and the ugly ladder being hopped across the floor, I think the thing that was most aggravating was watching someone clean shelves which reminded me of doing chores at home when I was trying to enjoy my time vacationing. Only a small whinge but I think the bar manager needs to address the routine cleaning to be at another time when the bar is empty. Our stay at Lough Eske Castle was wonderful and as our last night in Ireland was a treat to end our bucket list trip. The main part of the hotel (which is the castle) is beautiful and very authentic. I thought we were staying in the castle but should have realised based on the price we paid that we would be in a wing that is not original or the castle - oh well not to worry it was still nice. 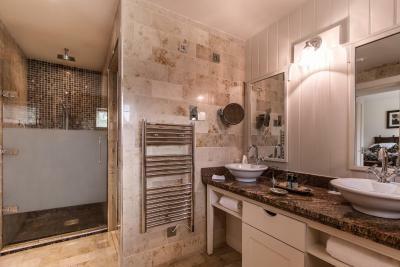 The room and ensuite is very spacious which was lovely and so enjoyable. The breakfast is very delicious and is made up of a small but lovely buffet as well as cook to order - order the Eggs Benedict, it was delicious!!! We were seated in a lovely booth that felt very fancy and special. 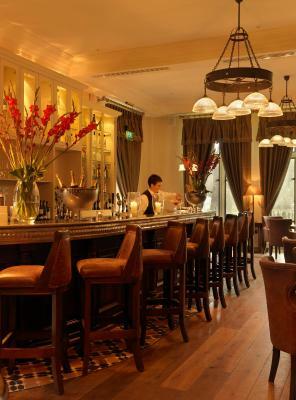 We enjoyed a couple of drinks and dinner in the bar area, both the drinks and meal were delicious. 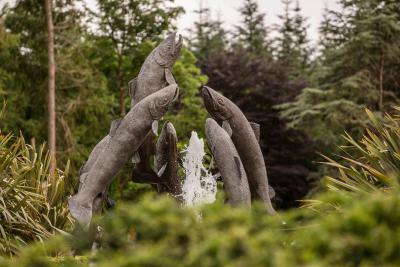 The staff were friendly and helpful which always makes for a more enjoyable stay - everyone was always happy to help and our welcome at check in was most wonderful. 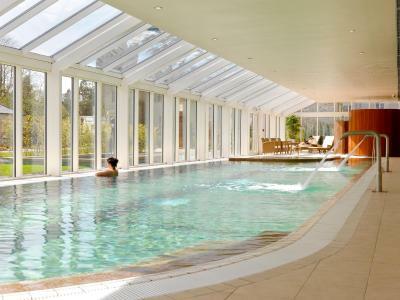 We used the pool and gym which is good but not the best we have used whilst in Ireland - I thought it would be nicer but it's ok, not the end of the world. 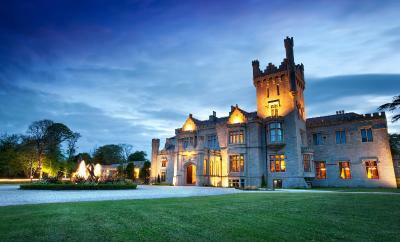 I would recommend the Lough Eske Castle. Phone didn’t work. Had to ask for room tidy 2nd day. Enjoyed the spa. Food excellent.